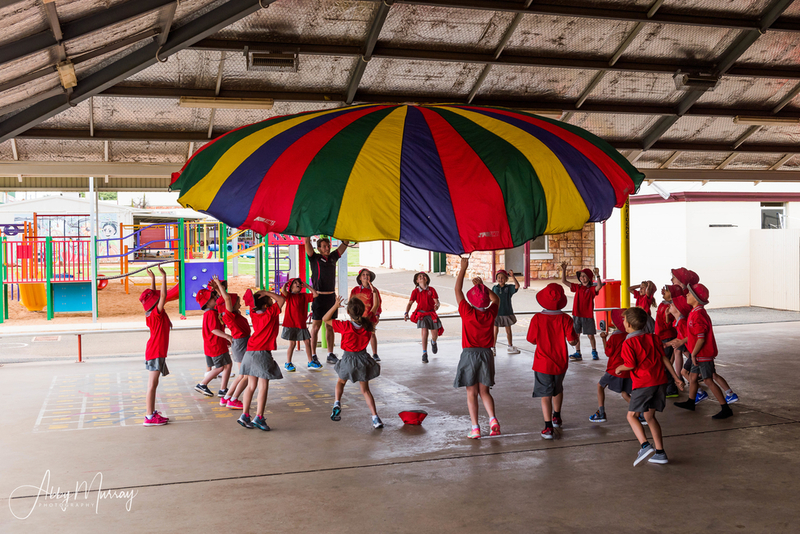 At Kalgoorlie Primary School health and physical education is taught by a specialist teacher weekly in blocks one after the other, health in the student’s regular classroom, followed by a physical education component utilising a variety of open spaces around the school. Health and Physical Education engages students in worthwhile learning experiences to develop skills, knowledge and self-efficacy that enable young people to engage in healthy and active lifestyles. In health classes students will be encouraged and taught to make informed decisions about their personal health and wellbeing. Throughout the year students will be provided with opportunities to develop interpersonal and collaborative skills, communicate effectively and set goals for improvement. In physical education, students will focus on building skills to engage in co-operative and individual gameplay, learning a variety of sports and skills with an emphasis on participation, involvement and sportsmanship. Health and physical education lessons are aligned with the Western Australian Curriculum and the health and physical education program has clear links to meeting the objectives of this document. Additionally, the sporting calendar is always full of exciting and challenging events, where students will get the opportunity to participate in a variety of sports within school and at representative level both socially and competitively. School and interschool carnivals are always a highlight and it’s great to see the wonderful support from parents and community members.